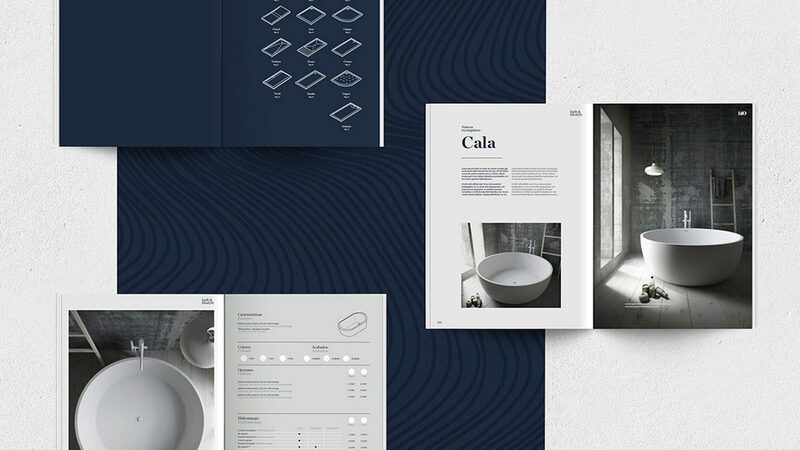 During the past year, our studio was involved in the redesign of the visual identity of the bathroom equipment, Baños 10. 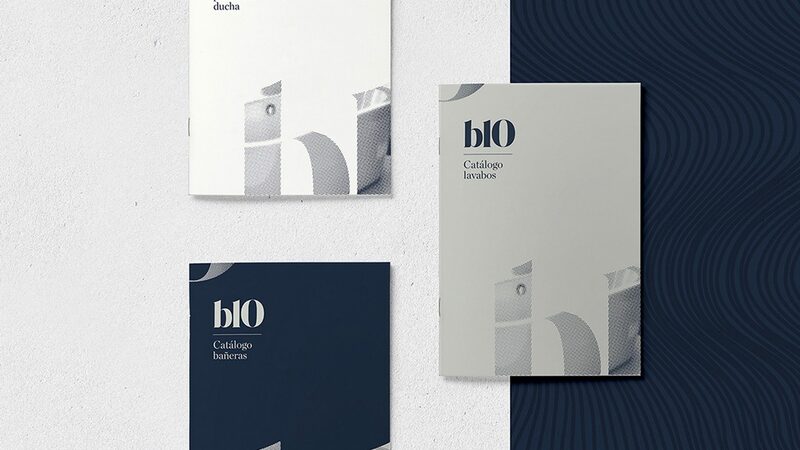 Currently, the company has a good position in the Spanish market and nowadays is seeking their internationalisation, hence why a new brand identity was conceived to help this purpose. The first step was a naming change, replacing the previous “Baños 10” with “b10”. This solution, which consists of only three characters and the omission of the letter “ñ” of its original name, makes easier its reading and comprehension in any language. 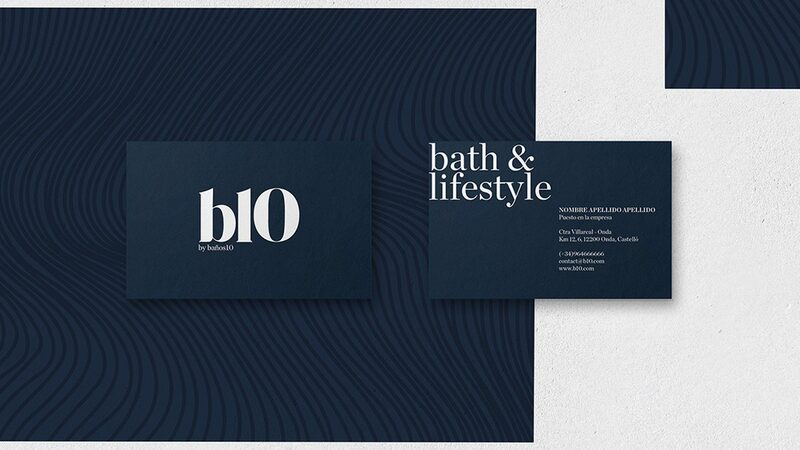 Starting from this change, we get inspired by water and the indigo blue colour to design a new and fresh visual identity for b10. The process of the redesign of the logo was to reduce its elements to the essentials. 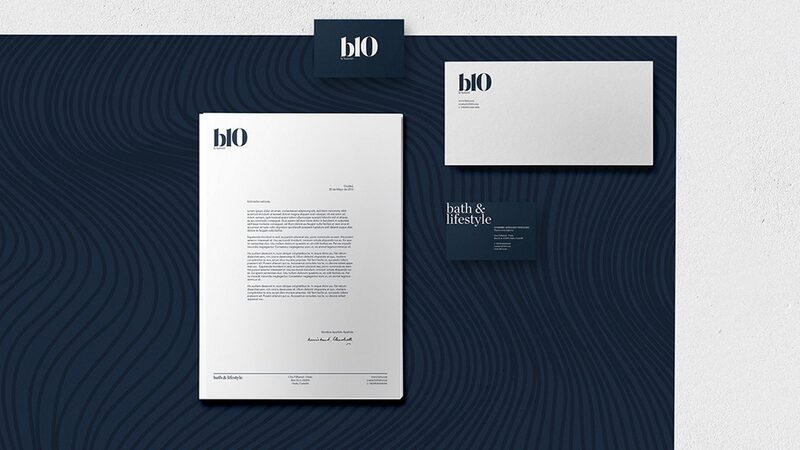 Starting from the basis of the aseptic and classic character of the new b10, the main and only element of the logo was a curated typography. The selected typography remains between classic and an ornamental serif and also has organic lines that remind us the movement of the water. 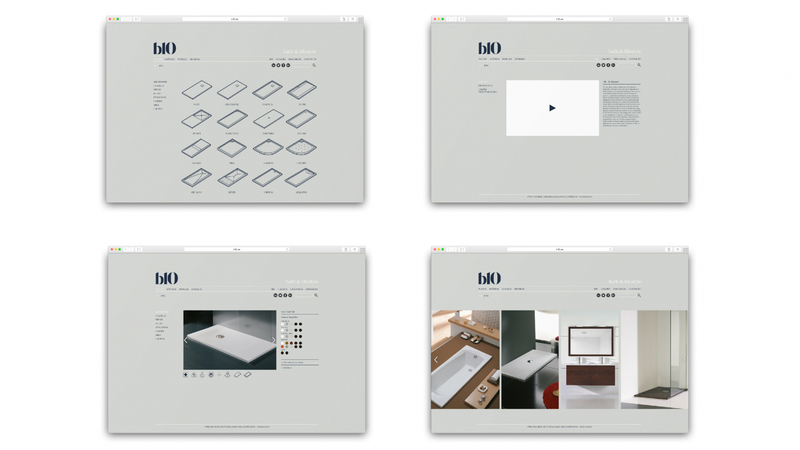 For this renewed identity we have worked also on the redesigning of their website and novelties catalogues and we also designed b10’s stand for Cevisama 2017 fair, recognized by the organization with an interior design award.